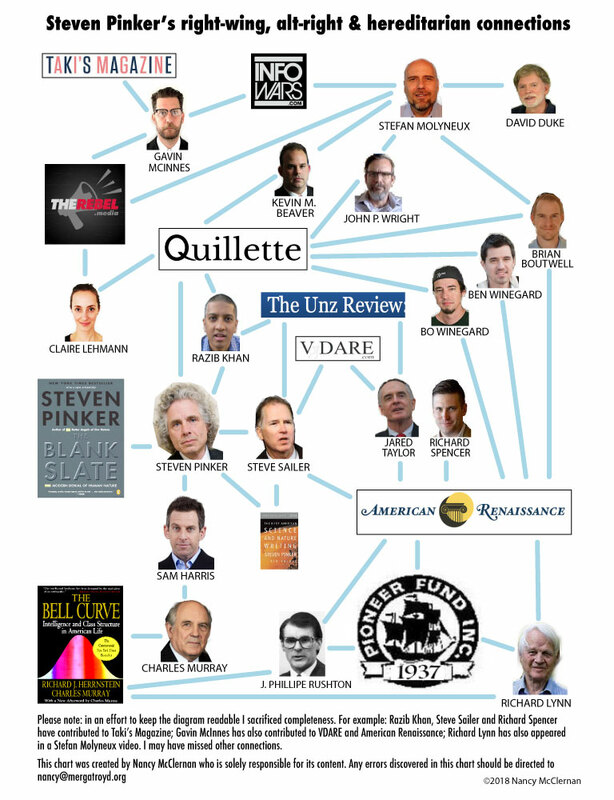 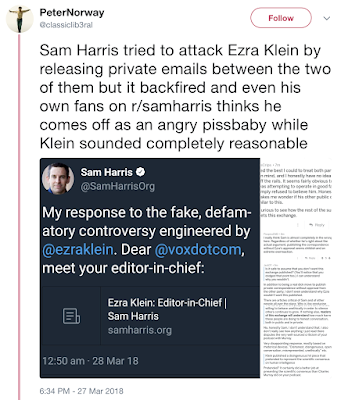 PINKERITE: The question must still be asked: why does anybody take Sam Harris seriously? 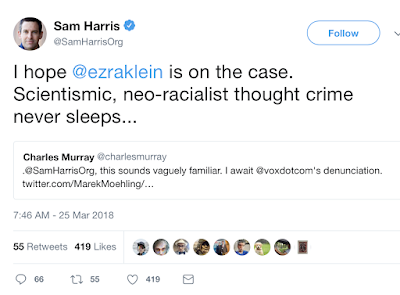 The question must still be asked: why does anybody take Sam Harris seriously? 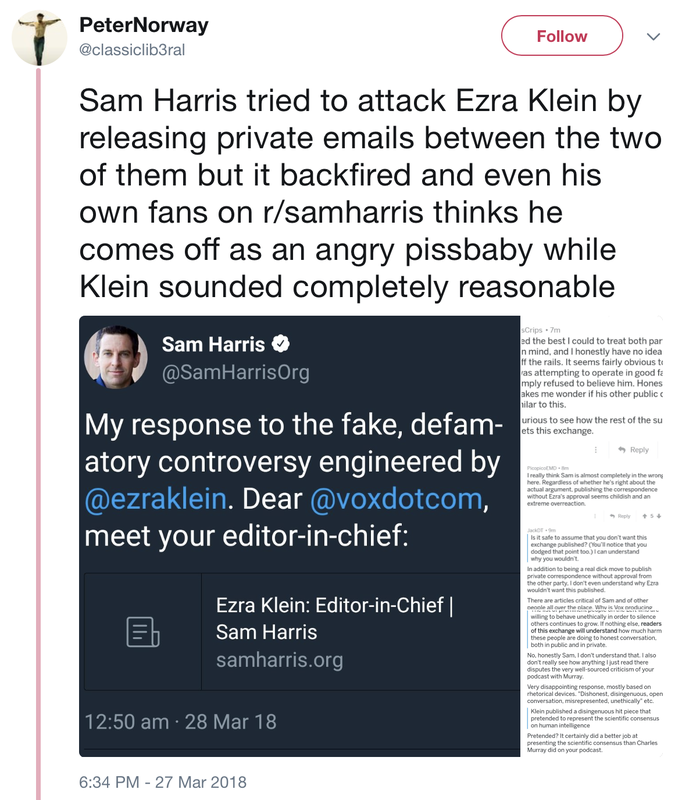 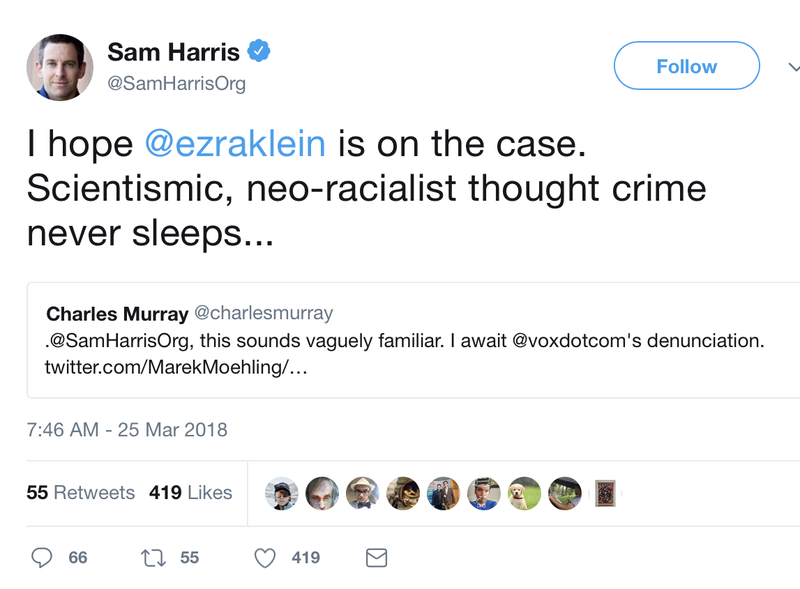 Recently Sam Harris was sympathizing with Charles Murray, the heir to the racism-infused science of the Pioneer Fund, and got into a debate with journalist Ezra Klein.